Did you know that plus size cosplay was NOT a game? 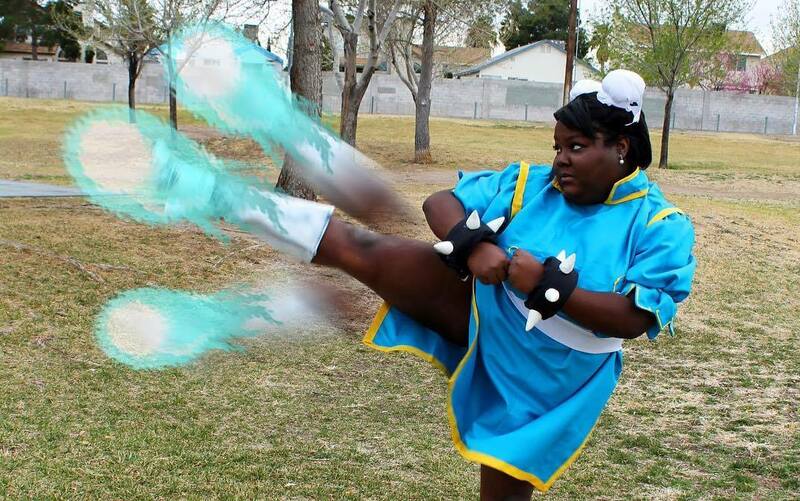 These women and men are bringing it for today’s Plus size cosplay roundup! Who is here for a great plus size cosplay look? Over this weekend, one of the largest Comicon’s happened and with TCF being huge fans of all thing cosplay, we thought it would only be right to share a few fun plus size cosplay looks from this event and events past! After scouring through Instagram and the various plus size cosplay hashtags, we have found more than a few fun looks and inspirational cosplays! I do not think that you are ready for some of these innovative, immensely detailed, and creatively clever cosplay looks! If you happen to get lost in Instagram like we do, then you should definitely follow a few of the hashtags that we have found! #plussizecosplay, #curvycurvycosplay, #plussizecosplayer, and #curvycosplay! I am so honored that I was able to weild this INCREDIBLE Roadhog hook forged by Man at Arms! Thank you sooooooooo much @matt_at_arms for this incredible experience! I’ll link the video in the Bio so you guys can Follow Man at Arms on YouTube if you don’t already and you can check out how they made this incredible hook. P.S: it was insanely heavy. I am a weak baby hog ????? I mean… aren’t these looks fun! Innovative? Creative? Outside the box? I have to commend these women for the dedication to character, the time it takes to make their costumes and the energy and excitement they bring to the looks! But did you know that we are huge fans of Cosplay? While we may not dress up for it, we love and respect it! We have interviewed Brichibi Cosplay, featured an essay by Talynn Kel, and even shone the light on plus size cosplayers of color! 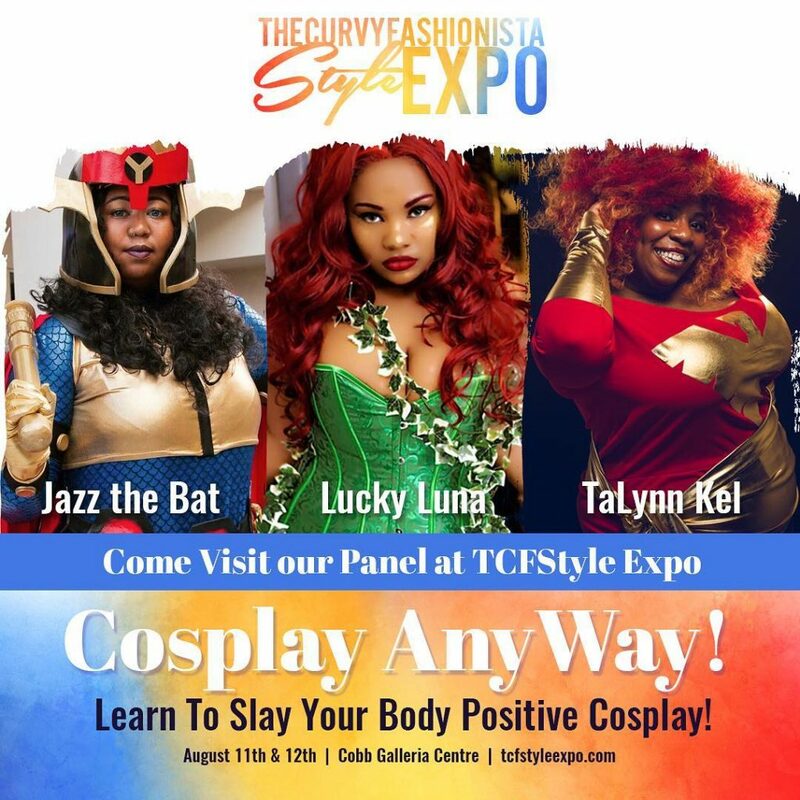 Learn to Slay Your Body Positive Cosplay @ the TCFStyle Expo! LISTEN. When we tell you that we are fans of plus size cosplay, we mean it! Did you know that we even have a plus size cosplay panel for our TCFStyle Expo? Ohhh yes! Featuring Talynn Kel, Jazz the Bat and Lucky Luna, we have a fun panel happening on the stage to talk about all things plus size cosplay! AND if you are a fan and love to dress up, we want you to show off your skills and come to our TCFStyle Expo in your full Cosplay outfit! Yessss, honey. Yes. Snag your tickets to our event at TCFStyleExpo.com! Do you cosplay? Who is your favorite character? Better yet, who are a few of your favorite plus size cosplayers? Which hashtags do you follow to find new fly plus size cosplayers? Let us know as we want to follow them too! We are so here for all of these fab looks and can’t wait to see more check out all the ladies and enjoy being #nerdyplusandfly at the TCFStyle Expo! !